Mayuri Pralhad Patankar is a research scholar currently based in Delhi. She has been collecting, archiving, and writing about literatures and folklore of the Vidarbha region of Maharashtra with the help of her adivasi friends. Poet Ushakiran Atram invites her readers to honour the lifeworlds of adivasis by lending an appreciative ear to their cultural expressions. Here she speaks about Gondi culture, language and literature. She writes poetry in Gondi, Marathi and Hindi. Acute observation, powerful verse, and sounds and spoken words from the adivasi experiences characterise her evocative poetry. In this interview, Atram speaks about Kachargarh fair, her poetry, beginnings of the little magazine Gondwana Darshan and the books published through the Dhanegaon branch of All India Adivasi Sahitya Sangh that she heads. She emphasizes the significance of giving space to adivasi voices in the literary and public sphere and draws on her long experience of writing to provide anecdotes about the marginalisation of adivasi languages and writers. Ushakiranji began writing poetry at a young age. Her first anthology of poems, Motyarin, first published in the year 1993, tells stories of the adivasi women. It is based on her experience of working in the Gadchiroli district of Maharashtra. This anthology was originally published in Gondi language. Marathi and Hindi translations are appended to its subsequent edition which is titled as Mhoraki. Her other works include Aher Katha Sangrah (1998), Ek Jhonka Anandacha: Balgeet (2000), Gondwana ki Veeranganayein, and Lekhnicya Talwari (2008). 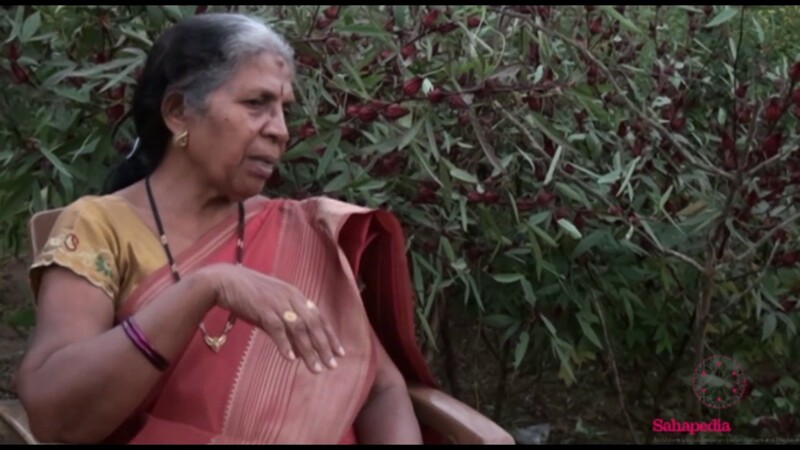 After her retirement from public service, she moved to Dhanegaon in Gondia district of Maharashtra from where she continues to write and simultaneously work towards the conservation of adivasi languages.